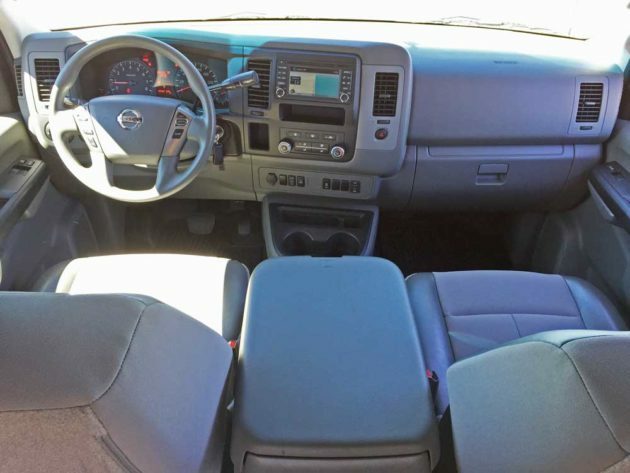 In 2012, Nissan introduced a line of commercial vans, and while you might not be interested in a commercial van, or at least you might not yet know it, Nissan’s entry into the global commercial vehicle marketplace, (particularly here in the U.S.) offers considerably more in terms of usage applications for vans that include fulfilling such personal activities as securely hauling recreational vehicles, motorcycles, camping setups, dog fancier applications, race support and more – the variations are seemingly endless. 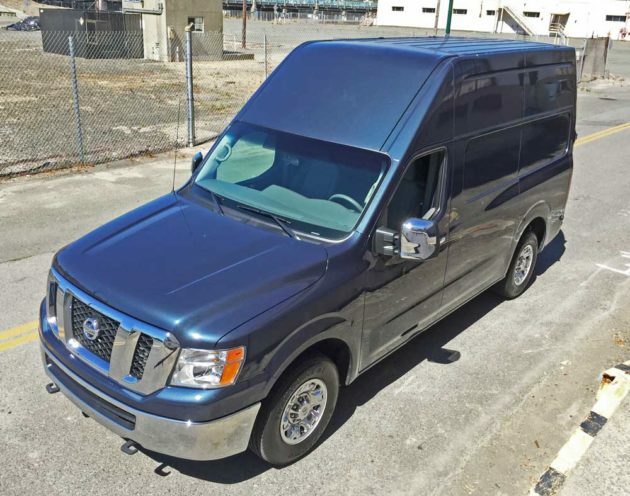 We’ll deal here with the 2016 Nissan NV 3500 High Roof SL V8 Cargo Van. Nissan is not new to the commercial vehicle industry – 2011 marked the company’s 75th year of involvement, with more planned for the future, including an NV200 as well as a small dedicated electric van. Sales exceeded 700,000 units in the world’s markets including Japan, China, Mexico, Russia, Europe and the Middle East in 2010. 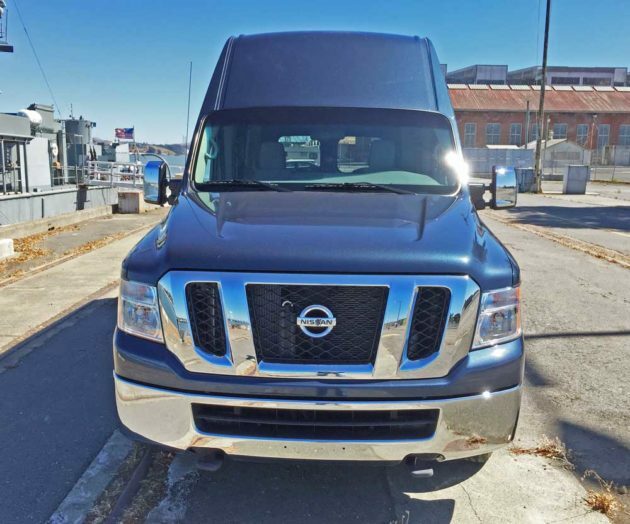 Nissan commercial vehicle sales currently take place in more than 75 percent of the global marketplace, with commercial vehicles representing 20 percent of Nissan’s global volume. The planned registration mix breaks down with 40 percent fleet sales and 60 percent small business and personal use sales. The Japanese company offers a series of NV vans that feature a bold exterior design in what may be termed pick-up truck-like packaging, based on an all-new commercial-duty chassis with innovative interior space that provides user-friendly cargo areas featuring built in solutions for both personal and business applications. 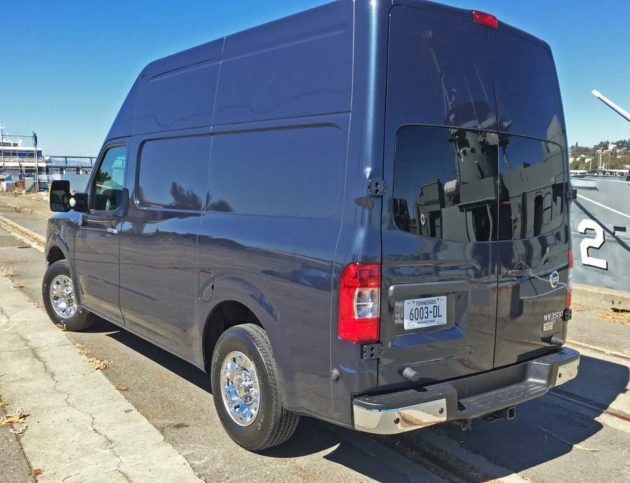 Designed for the North American market, the NV vans present a strong masculine image offering positive advantages over pickup trucks, such as weather protection, theft prevention, overnight storage of tools and inventory, eliminating the necessity of unloading and reloading each day not to mention viable advertising space on the nearly vertical side walls. All models of the NV lineup are constructed on a body-on-frame format. Power sources include two engines choices, positioned forward as in a pickup truck with no invasion into the cab space. There is a 4.0-liter V6 that generates 261 horsepower and 281 pound feet of torque, as well as a 5.6-liter V8 that cranks out 317 horses at 5,200 rpm along with 385 pound feet of torque at 3,400 rpm. Both mate to a five-speed automatic transmission with a tow mode that gears power to the rear wheels. There are two basic body configurations: a standard height roof; or a high roof version. Model choices relate to weight class: the NV 1500 is available only with the standard roof and with V6 power in two trim levels: S and SV. ; the NV 2500 may be powered by either the V6 or V8 engine, and is available in both roof styles also in the S and SV trim levels; and the NV 3500 comes only with the V8 engine, but in both roof configurations, available in S and SV trim as well as a more upscale SL trim level. Total price depends upon trim level and final equipment outfitting. Customers are offered the choice of no-charge graphics – an industry exclusive, with professional design and installation included; or of a no-charge upfit, installed utilizing dedicated mounting points that require no drilling, providing fully modular solutions with no rust threat. The high roof model provides cargo area stand-up room of 6’3”. There are multiple integrated reinforced mounting points for hardware installation and six floor-mounted D-rings for securing cargo, as well as a standard cargo area lighting system and standard upfitter pre-wiring. 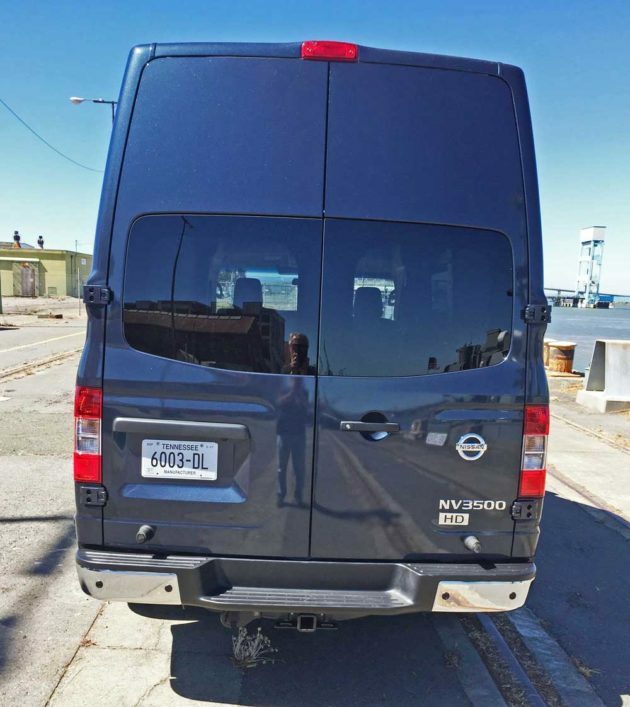 The vans are built in Nissan’s Canton, Mississippi plant that underwent a $118 million renovation to accommodate the NV manufacturing operation. 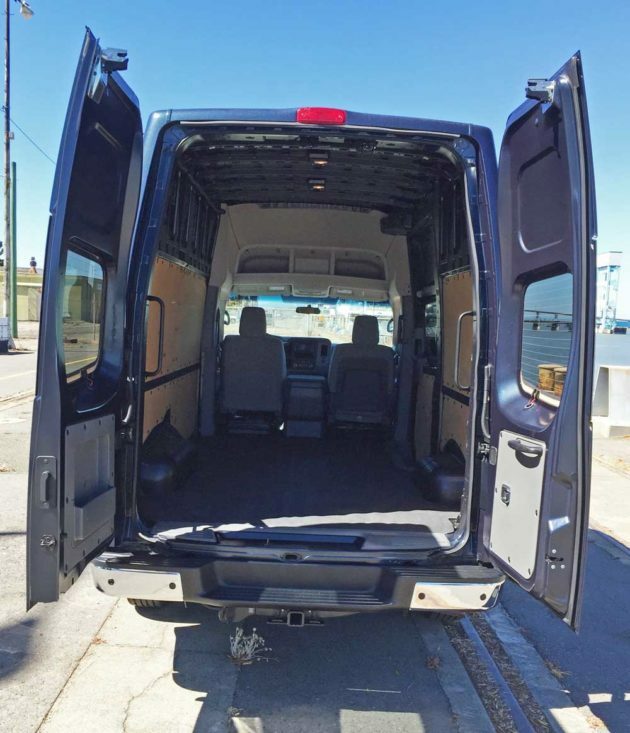 The vans all feature extra-wide opening rear doors (243 degrees) and a variety of available window packages. The front doors are also extra wide for easy ingress and egress. Seats are supportive, adjustable buckets with water repellent cloth seating surfaces and protective outer wear patches – vinyl seating is optionally available. There are available pull-out storage trays under both seats on all but the NV1500 series, and the passenger seat folds down, providing an expanded desktop-like surface. Rear-door and sliding side door step-in height is low with grab handles. 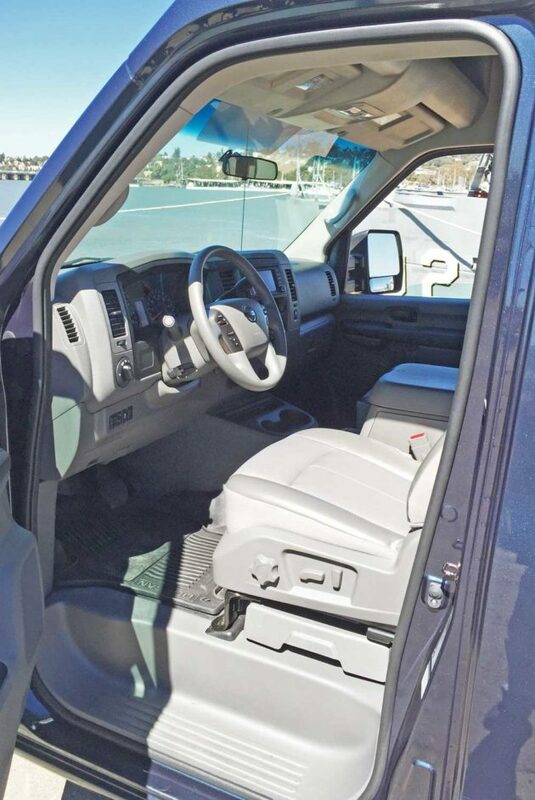 The interior features a class-exclusive, available center console with lockable integrated storage and available 120V power outlets (2); one in the center console and one near the rear door on the D-pillar. High roof models come with overhead storage compartments. 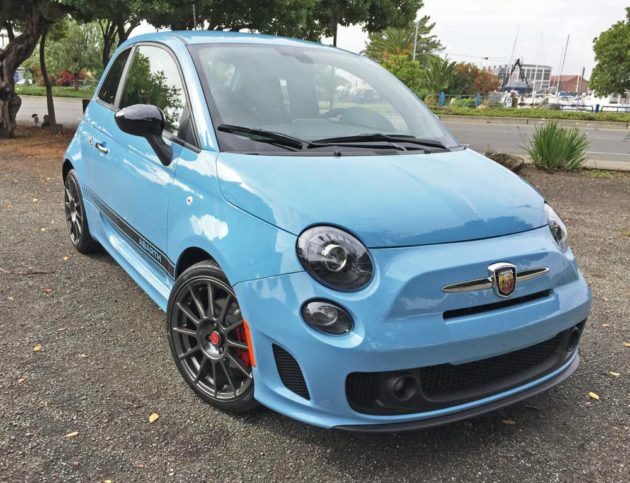 Other available options include: a Technology Package with Bluetooth® Hands-Free System; XM® satellite radio; iPod; connectivity; a Navigation System and RearView Monitor. Safety features include: available supplemental front-seat-mounted side-impact air bags and roof-mounted supplemental curtain air bags; driver and front passenger dual-stage front air bags; 3-point front seatbelts with pretensioners and load limiters; Vehicle Dynamic Control; a Traction Control System; 2-wheel Active Brake Limited Slip; and ABS braking. 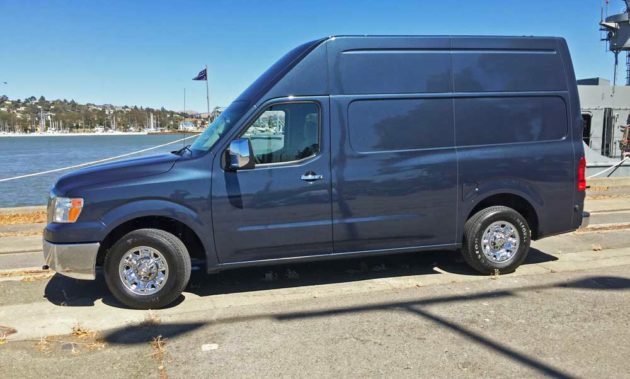 As already mentioned, my test 2016 Nissan NV 3500 was a high roof unit in the top of the line SL trim. 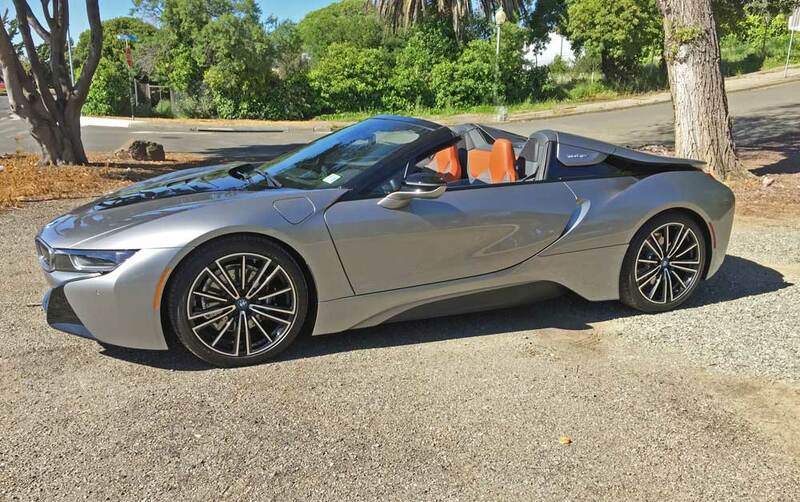 The exterior was sprayed Arctic Blue metallic, with the interior done in Gray. The base price was set at $35,160. While the final total came to $37,610 after factoring in the options, which included: the Back Door Glass Package; Sliding Door Window Package; All Season floor mats; and the Technology Package that came with Nissan Connect™, featuring Navigation and Mobile Apps, a 5.8” color touch screen display, voice recognition for audio and Nav, USB connection for iPod and other compatible devoices, Bluetooth® Hands Free Phone System, streaming audio via Bluetooth, SiriusXM satellite radio with Traffic and Travel Link, Hands-free messaging Assistant, Rear View Monitor, and Destination charges. SUMMARY: The NV 3500 high roof SL V8 actually drives and handles more like a sedan, with plenty of power, excellent maneuverability and a surprisingly comfortable ride quality level. It rides well with or without a load, but loaded, the ride quality smooths out to an even higher degree. Because of its mass, there’s a lot more real estate to account for when maneuvering in tight quarters. The NV 3500 certainly seems superior to other competitive vans that I’ve reviewed to date in terms of not only power and usable interior space, but comfort and versatility as well. Better yet, the NV series vans are generally less expensive (by a wide margin) than Ford’s E-Series, Chevy’s Express and the Sprinter van. 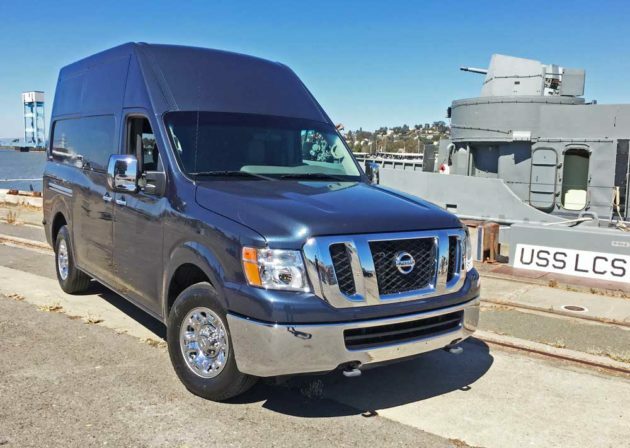 Nissan is sure to become a major player in the van marketplace with the NV Series and while their initial focus is on commercial applications, watch for specialized personal and recreational use examples to emerge to meet consumer demands. Engine Type and Size: VK56DE 5.6-liter, DOHC, 32-valve V8 naturally aspirated. Transmission: Five-speed automatic with Tow mode. Suspension: Front – Independent double wishbone with twin-tube coil-over shocks and 35 mm stabilizer bar. 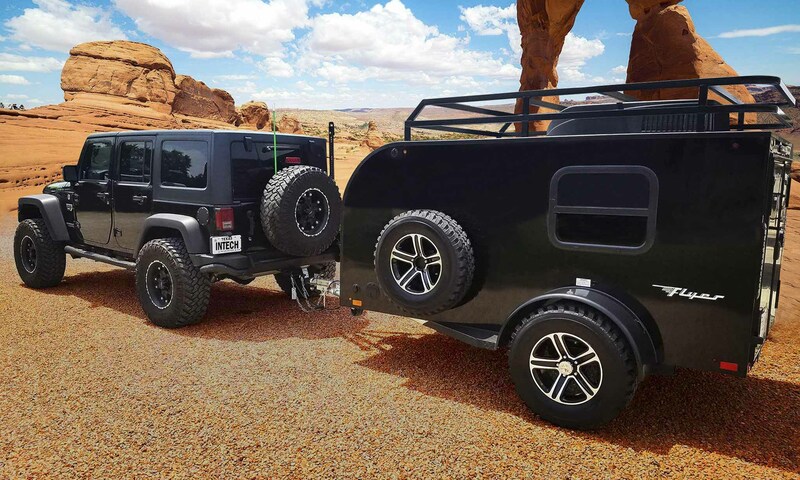 Rear – Multi-leaf with solid American axle, twin-tube shocks and 27 mm stabilizer bar. Brakes: Power-hydraulic-assisted heavy-duty 4-wheel vented discs with 4-wheel ABS, EBD VDC, TCS, TPMS. 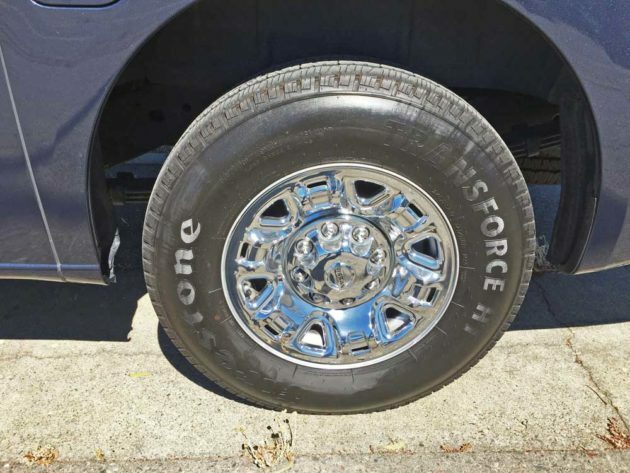 Tires: Firestone Transforce HT LT 245/75 R17 – 121/118R M&S All-Season mounted on styled 6-spoke/hole chrome alloy wheels. Width: 79.9 inches without mirrors / 102.8 with tow mirrors. Curb Weight: 6,121 lbs. – Payload=3,626 lbs. / GVWR=9,900 lbs. EPA Mileage Estimates: EPA Fuel Economy ratings not required for this vehicle.